Nickelodeon And WWE Team Up: ‘WWE SlamCity’ Coming To Nicktoons’ NickSports Block! Nickelodeon and WWE are teaming up to bring WWE SlamCity to the NickSports portion of Nicktoons. The epic shortform animated series will debut during the 9-11 pm est NickSports block, which airs every Wednesday! The period of programming offers viewers a lot of great stuff, including series, specials and documentaries from leagues and key athletes, as well as acquired theatrical movies — all geared toward the athletic minded individual. This new 26-episode series consists of two-minute shorts featuring some of our fave WWE Superstars, including John Cena®, Randy Orton®, Sheamus®, The Miz™, Rey Mysterio®, Kane® and Mark Henry®. All of them interact with a new, epic animated world. If you’re wondering what kind of shenanigans these characters could possibly get into, then be sure to check out the shows! Be sure to check out the series on Nickelodeon. 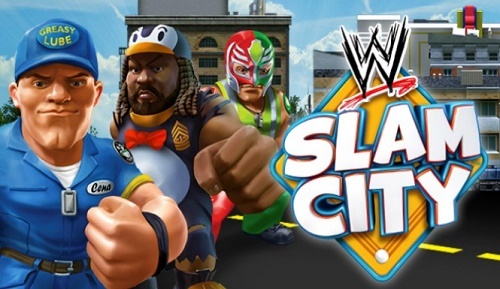 WWE SlamCity is part of a larger initiative to expand its reach to younger demographics. Disclaimer: CDL was not compensated for this post in any way; however, CDL is a WWE Brand Ambassador. All opinions are our own.